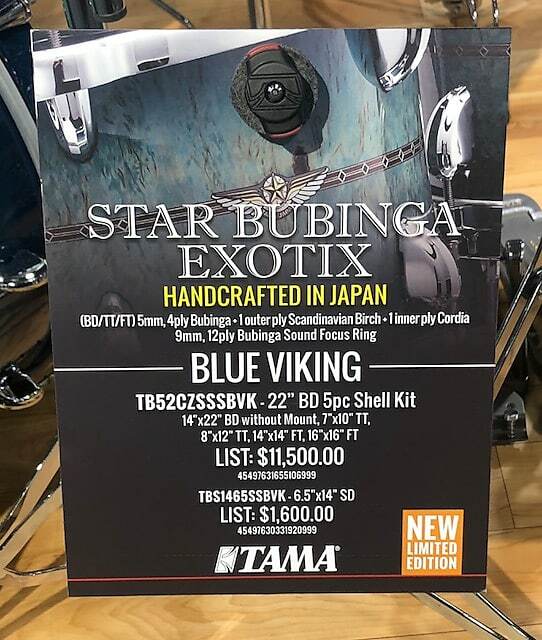 Tama Star Bubinga Exotic 10,12,14,16,22,6.5 drum set 1 of only 5 sets 2019 Blue Viking. Ships now! 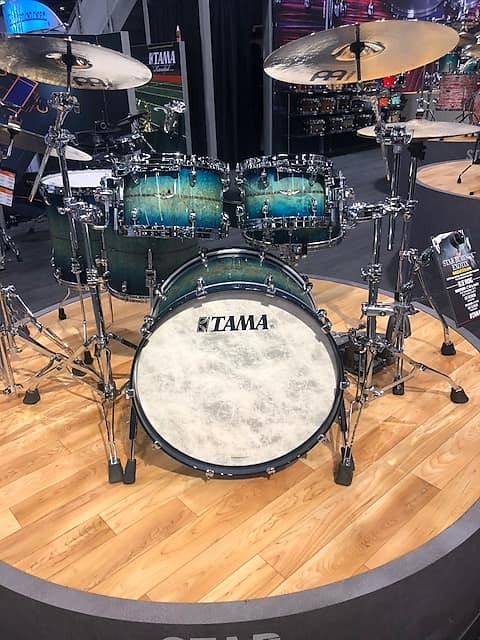 Coming to us straight from the NAMM show! No waiting 5 months. Ready now! There will only be 5 of these sets made. Absolutely incredible set. 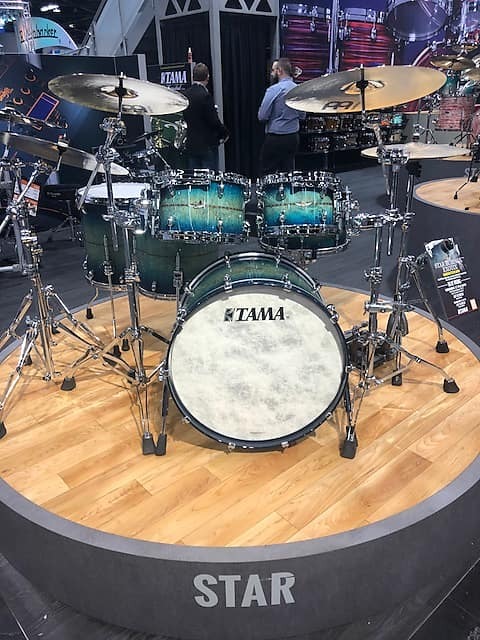 Tama Star Bubinga Exotix. 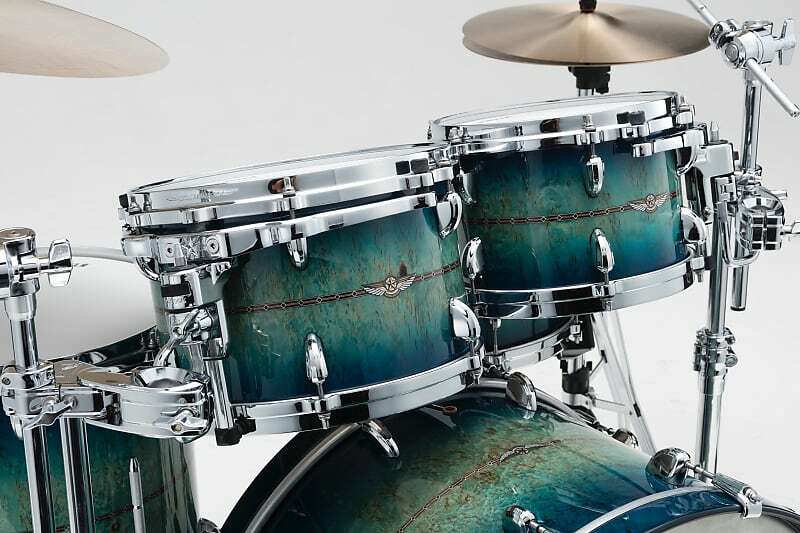 5mm, 4 ply Bubinga with 1 outer ply of Scandinavian Birch, 1 inner ply of Cordia, and also 9mm, 12 ply Bubinga Sound Focus Ring. 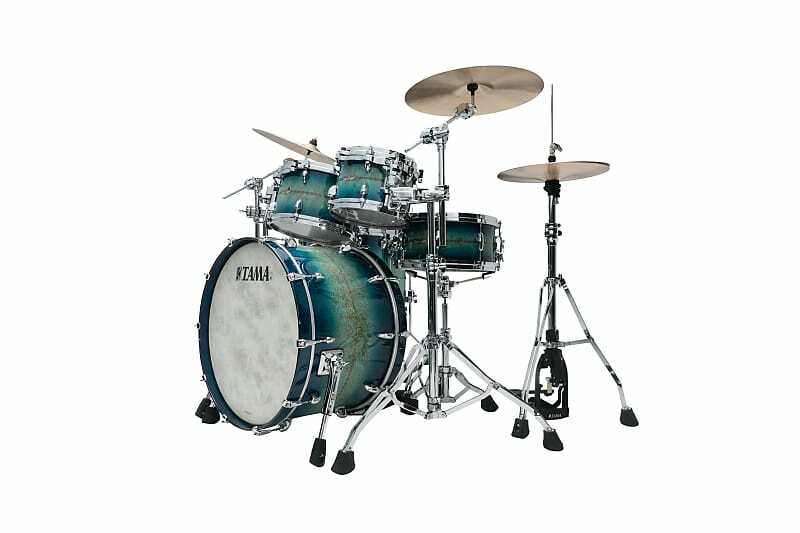 Blue Viking finish. Sizes are incredible 7x10, 8x12, 14x14, 16x16, 14x22, 6.5x14. 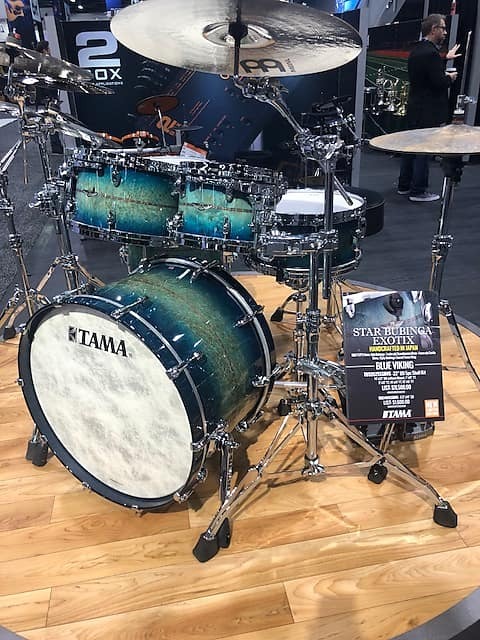 I have long been a fan of the great Tama Star series. 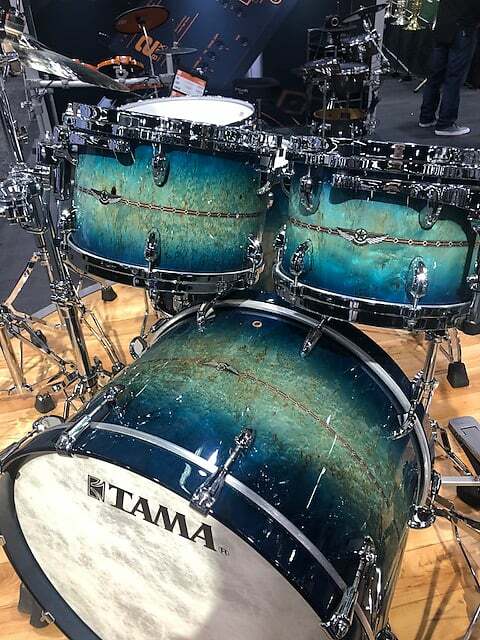 In fact, we held the debut for these drums in NYC at my shop in 2013. 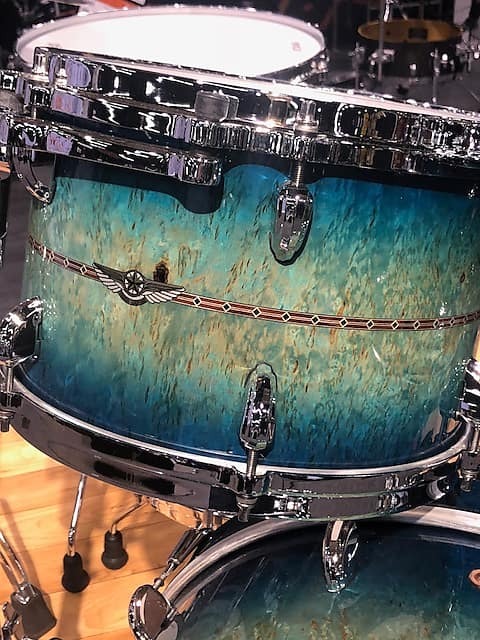 I played both the maple and Bubinga and they were incredible. 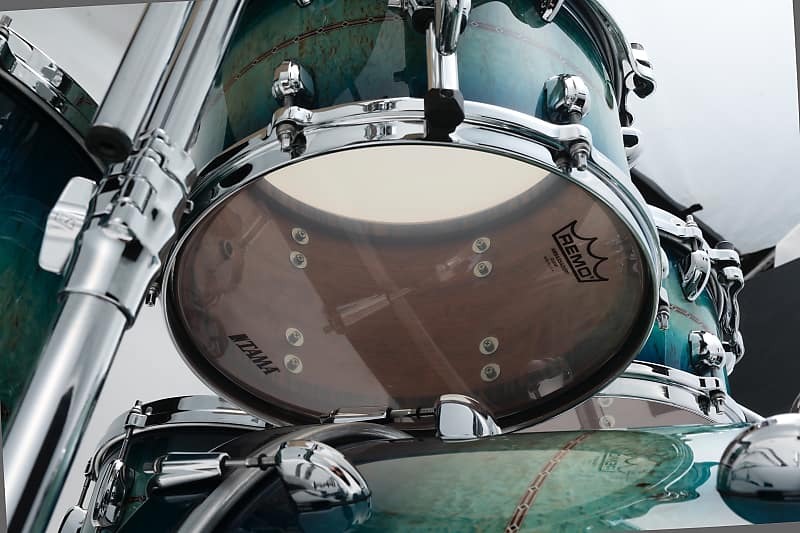 I have linked the video I did that day for the Bubinga bop kit. Just give it a listen. 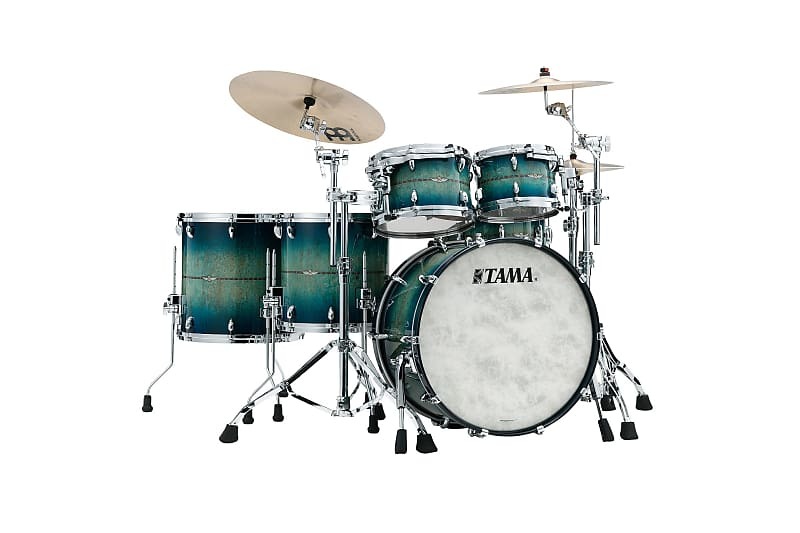 Don’t wait on this great kit.